This past weekend teachers, mushers, and even kids attended the Midwest Sled Dog Symposium and Iditarod Teacher Conference in Curtis, Michigan. 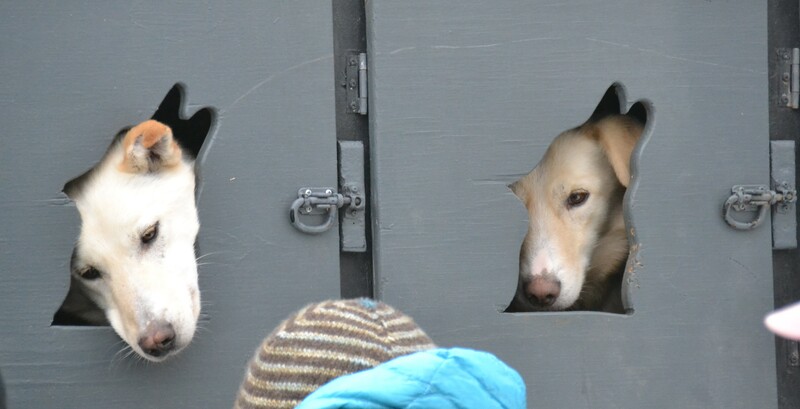 The symposium, hosted by Nature’s Kennel, had breakout sessions for both mushers and teachers. The teacher presenters came from around the country; Nancy Wendt and Linda Fenton from Wisconsin, Jen Reiter from Maryland, and me, from Iowa. Musher presenters included Nathan Schroeder, Hank Debruin, and Jeff King. There were a number of other presentations on topics such as skijoring, puppy care, and ATV/snowmobile repair. Nancy Wendt is a recently retired teacher from Eau Claire, Wisconsin. Nancy shared many admirable Iditarod themed lessons. Nancy’s main focus was demonstrating to the teachers how Iditarod activities align with the common core. An exceptional idea Nancy shared with us was her Iditarod Open House. After working for quite sometime in the classroom on Iditarod projects, the students hold an open house inviting parents and community members to enjoy. Students practice their speaking skills while sharing information with the guests. Nancy said she has had over 250 people attend the open house. 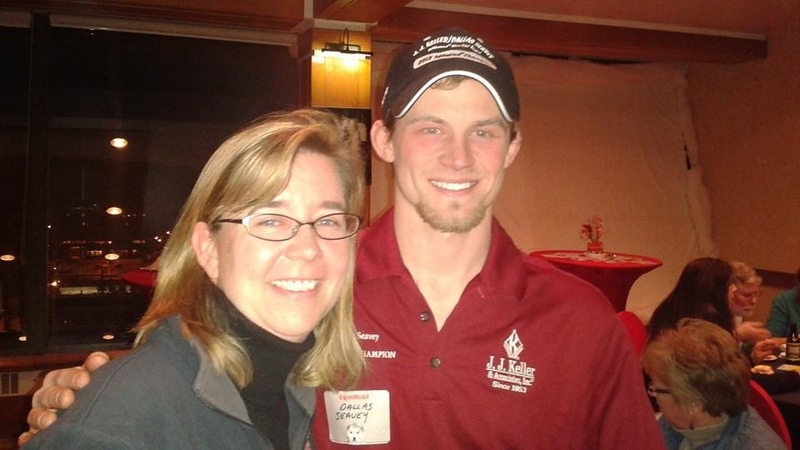 Jen Reiter, 2014 Iditarod Teacher on the Trail™, shared some of her favorite Iditarod stories. In addition she shared a few of her favorite lessons. This session was not only for teachers, but eager to learn children. One story Jen share was when Karin Hendrickson was riding her sled along the trail when all of a sudden, “Splat!” she was hit square in the face with dog poo. That story made both adults and children laugh. It was fun and useful for the teachers to be able to add more lessons to their collection while also seeing these lessons in action. A favorite lesson among the teachers and kids was creating their own Aurora Borealis using water paints, kosher salt, and dog stamps. It was very sweet to see parents working alongside their children. Linda Fenton was another presenter in our afternoon sessions. Linda was 2013 Iditarod Teacher on the Trail™. Linda also shared hands-on lessons with our tiny people conference attendees. A highlight in Linda’s presentation was her lesson on the genetics of dogs. This lesson came full circle Sunday morning at Nature’s Kennel. As Linda was walking around she heard some of the kids say, “look, a floppy-eared dog,” or, “look, a blue-eyed dog.” By the way, there was only one blue-eyed dog in the kennel. I presented in the morning. I shared with the teachers my theme, Journey through the Iditarod. I also shared some of my favorite lessons, which can be found on this website. We discussed more lessons and posts that will be coming. In addition, it was nice to hear what the teachers would like to see on the website. The attendees were also treated to some great speakers. Friday evening Hank and Tanya DeBruin spoke about their many adventures of their sled dog lifestyle. 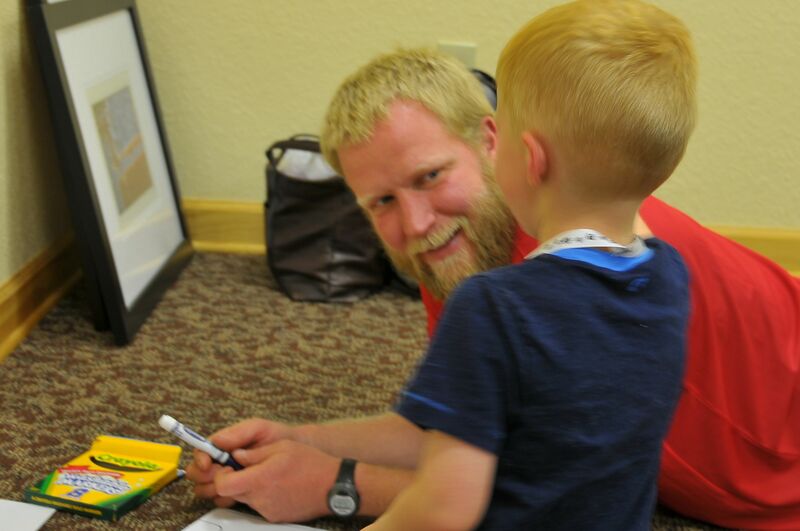 Saturday morning many had the pleasure to listen to 2014 Iditarod Rookie of the Year, Nathan Schroeder. Saturday evening, a favorite to many, we were entertained by Jeff King. To read more about these speakers, check out Terrie Hanke’s articles. Sunday was a dog lover’s dream. Included as part of the conference is a tour of Nature’s Kennel, operated by Ed and Tasha Stielstra. On fifty acres of land the Stielstra’s have around 150 dogs. I know I could have spent an entire day wandering around playing with all the puppies and dogs. If you have not been to this conference you should consider making the trip to Curtis next year. It is a great opportunity to listen to teachers share great Iditarod themed lessons as well as hear and meet Iditarod mushers. Just a reminder, there will be a workshop for teachers November 14 and 15 – In Baltimore. Find out more and B’there! I flew into Skwentna with Race Judge Jim Gallea. He has been a race judge for about ten years and is an Iditarod finisher himself. It was a beautiful day for a flight. The sky was so clear you could see forever. It was just amazing! I got to sit in the front seat of the plane. When you sit in the front seat there is a steering wheel right in front of you. This steering wheel is attached to the pilot’s wheel, so when he moves his, the one in front of the passenger moves too… which startled me at first! I wasn’t sure if I had knocked it and was in danger of crashing the plane! But it was just the pilot steering! We arrived in Skwentna about three hours before the first team was expected. This checkpoint runs like a well-oiled machine with the Darlings and the Skwentna Sweeties organizing everything! It has to be well run, as all of the teams are in and out of here in about fifteen hours total. The finish chute is on the east of the river. The musher drop bags are in the middle of the lake arranged in alphabetical order. Just past that is the area for the mushers to leave their return bags and then a trash heap. There is a pile of HEET bottles for the mushers to pick up if they need them. Just past that is a huge camp stove where volunteers melt snow to have hot water for the mushers all night. The teams are parked in a herringbone pattern on each side of the river. When they pull out, they will funnel back into the river channel and continue on their way. Jim told me that we could expect that one-third to one- fourth of the teams would park and stay for a bit. Those would be the first teams through, and then the later teams would go right through because they had camped earlier on the trail. Then the later teams would be teams who stayed again. Mike Williams, Jr. was the first musher to arrive at 8:31am. It was so cool! You could see his headlight as he came down the river. It was about three or four minutes from the time you saw the headlight until they actually arrived at the chute. If the mushers didn’t have lights on, you would never have known they were coming. They were so silent. It wasn’t until they were nearly upon you that you could hear the patter of the dogs’ feet and the swoosh of the sled. As they got close to the chute it was a mystical sight – the steam rose off the dogs and formed a haze in the musher’s headlight. The hardest part of checking the teams in was getting them stopped on the river ice. There’s not enough snow to really plant a snowhook, so they needed to have several people hold the sled to keep the musher stopped long enough to go through the check-in process. Once the first team came in it was a pretty steady influx of mushers. Nathan Schroeder came in ninth. He got his dogs parked very easily. He pulled off their booties, spread out some straw for them, gave them some snacks, and then picked up his drop bags from the pile. He got some hot water and made his dogs a hot meal. He is disappointed because he lost his watch on the trail – he says it fell right off his wrist somewhere. I later found out the Lev Shvarts lost his as well! Maybe this section of the trail will be known as the “watch eating trail!” Nathan said he was amazed at how many people have been around and that he hasn’t done a lot of river running, so that was a new experience for him. He still seems calm and confident. And the dogs passed their vet checks with flying colors! Monica checked in a bit later – in her brightly colored parka she’s hard to miss! She arrived a little later than she had planned. She ended up spending more time at Yentna Station because she had a hard time getting her cooker working. She wished she had treated herself to a new cooker for the race! Monica was super glad to learn that the volunteers here at Skwentna had hot water for her! Her first checkpoint chore was to grab a container of ointment and some leg wraps from her sled and to rub down and wrap a couple of dogs’ legs. She also gave Moto a shoulder rub and a special jacket. She says that babying his shoulder is how he’s going to get to Nome! As she gathered her dropbags she joked that she over packed. She said that Tim Osmar’s (her kennel partner) theory was for her to be able to take her twenty four anywhere just in case there was a storm and she got stuck somewhere. She has realized she forgot her ski pole, but she says she won’t need it for a while, so she will try to pick one up in McGrath. After her chores were finished she went up to the checkpoint cabin and had some food, got a warm lemon scented washcloth to wash up with, and got some rest. She got some advice from Danny Seavey, and Iditarod veteran, about going through the Steps section of the trail. She’s apparently still debating if it’s better to do it during the day or night! Is it better to see what’s coming or just hold on for the ride? Danny Seavey has an interesting story that led him to the start line the year. He was in Florida with his family when he got the call from his dad Mitch that he needed him to come home and run his puppy team. The musher who was due to run that team, Matt Gilbin, broke his ankle and wouldn’t be able to make the run. The family needed Danny, and so he flew home and went into full training mode, bought some new boots, and here he is! Back in the race! It’s been about eight years since his last race, but having the puppy team run this race is an important part of Mitch’s training regime. The dogs couldn’t just sit this one out! Things got really busy between 1:30 and 3:00am with teams coming in and out. The mushers don’t have to sign out with a checker, so you have to keep on your toes to catch a team leaving so that you can accurately record the out times. It’s actually pretty easy to do. You just head toward the team that is jumping and screaming and slamming in their harnesses. They are usually the ones preparing to head out! The sun rose over the river. It’s now about 9:00am. There are just four teams left on the river. Nathan is long gone. Danny and Monica are feeding their dogs and repacking their sleds. I’m packed and ready to go. Just waiting for a plane to take me to my next spot on the trail! Today the Iditarod Trail Committee Headquarters was hopping – or should I say tail-wagging? Today was the final day for Pre-Race Vet checks. Mushers can have their final checks done by their own vets, or they can take advantage of the race vets and get free checkups at the headquarters. I pulled into Headquarters today in time to see Newton Marshall and Curt Perano finish up their vet checks. Newton Marshall is from Jamaica and is running a team comprised of dogs from several different kennels. Curt Perano is originally from New Zealand where he currently owns and operates Under Dog New Zealand which is a sled dog tour company in his home country. Each musher is allowed to have up to twenty dogs checked per team. This allows the mushers a little more time to decide the final makeup of their teams. They really don’t need to have the final list until they leave the starting line on Sunday morning! An article in the news tonight reports that about forty of the 69 teams entered in the race took advantage of the chance to have the Iditarod vets examine the dogs. Think about how many dogs that is! The vets and the vet technicians are just a few of the volunteers already hard at work preparing to get the race started. Tomorrow the mushers will all arrive at the Millennium hotel for the mandatory musher meeting that begins at 8am! And then tomorrow evening is the Musher Banquet Draw! The excitement just keeps building and building! Today, the teachers had a chance to visit Vern Halter’s Kennel, Dream a Dream Dog Farm. He is helping Iditarod Rookie Cindy Abbott in her quest to complete this year’s Iditarod. Cindy attempted a run at the race last year but broke her hip during a fall and ultimately had to scratch. She is back and ready to try again this year! I’m super excited about her entry this year as she is taking several of the dogs I got to meet and hang out with this summer during the Iditarod Summer Camp for teachers! It will be great fun to watch them head down the trail. Cindy is one of several mushers who are racing not just to have the challenge of the race, but also to raise awareness for a cause. Cindy’s cause is raising awareness about Rare Diseases. Cindy herself has been diagnosed with Wegener’s granulomatosis which is a rare disease that causes inflammation of blood vessels which then restricts the blood flow to various organs. It most typically affects the kidneys, lungs, and upper respiratory tract. It can be fatal if it’s not treated. Cindy herself went undiagnosed for about fourteen years,but she hasn’t let it stop her! 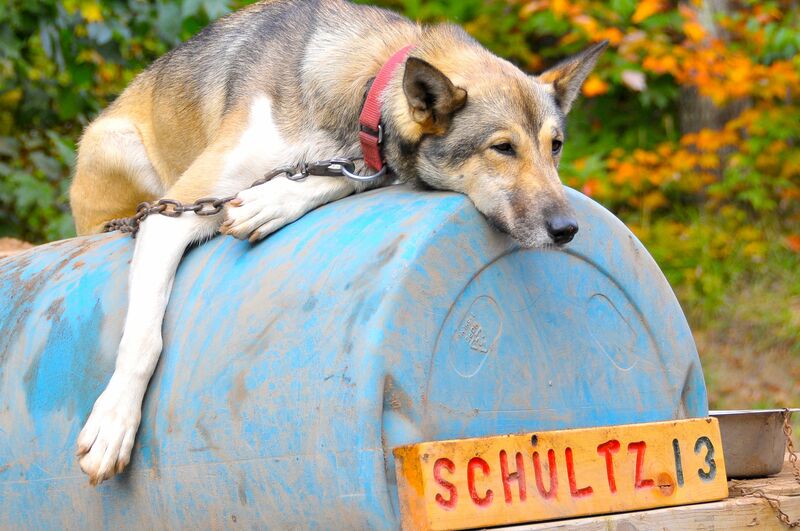 She climbed Mount Everest and is now coming back to claim an Iditarod belt buckle! Her dogs will be wearing special dog coats that say VASCULITIS Racing for Life coats. When she gets to the finish line in Nome she will unfurl her National Organization of Rare Disorders (NORD) banner to bring awareness to that organization. She feels compelled to do this so that when people hear, “I don’t know what’s wrong with you,” from their doctors, they will know that there is somewhere they can turn for more information. Our special friend, Iditarod rookie Monica Zappa, is mushing for a cause as well. Her cause is an environmental one. Monica is very concerned about the Pebble Mine which is proposed to be built at the mouth of Bristol Bay. She is working hard to prevent this mine from being built and is using her Iditarod rookie run, in part to bring awareness to this cause. She is concerned that the mine, if built at the mouth of Bristol Bay, would be disastrous for the fishing economy, tourism and natural beauty of the region. In an earlier post, I talked to you about how Martin Buser and Aliy Zirkle are bringing awareness for the importance of vaccinations to the villages along the trail by carrying vaccine in their sleds. The mushers take different strategies when they are planning to bring awareness to a cause. Monica has dog jackets for the dogs to wear, signs on her trucks, and has teamed up with other advocates to broadcast their message loud and clear. She also makes a point of talking to students about the cause when she does presentations for schools. She prepared special informational packets to send to the schools in the villages she will visit as part of this year’s race. The mushers hope that the national attention the Iditarod will garner will help to spread their message to a larger audience. A neat project or journal entry for your students may be to have them think of a cause they hold near and dear to their hearts. If they were mushers, how could they use the Iditarod to help them get their message out there to the larger population? Designing jackets for the dogs is one way – what would their designs look like? What other ideas do they have for introducing people to their cause? Rock Start Sighting: Dallas Seavey! I got a chance to check in with Dallas Seavey at the ExxonMobil Welcoming reception for the Winter Conference for Educators last evening. The question on everyone’s mind? The trail conditions. Dallas’ point of view is that it’s the Iditarod and it’s not supposed to be easy. He says this isn’t the first time the trail has been this way, nor will it be the last time it will be this way. He seems to think that this year’s trail will favor mushers who have experience and who can think on their feet. Dallas’ predicts that the mushers who are running the race with a solid “race plan” will have a hard time. They will go into the race thinking they have to get to point A by a certain time and then when they get out on the trail and realize it’s not going to quite work that way, they won’t be able to make the adjustments. He says that he races his team, not the race. So he listens to what his dogs want and runs his race that way. He’s really excited about his team this year. This team is really HIS team. In the past he’s run dogs that he’s gotten from his dad and other mushers, but this year he has raised and trained all the dogs for himself. They have been born and raised in his kennel and are truly a product of his training and coaching. Dallas referred to himself as a teacher and coach. His role in the team is to teach his dogs their roles and commands, form the team, and then coach them to reach their fullest potential. His favorite thing is to take dogs out in small teams (five or so) and really work with the dogs to learn. He says when they are small puppies they are like sponges. They soak everything up and are so eager to learn and please. Sometimes they don’t always remember what they learned the next day…. Sometimes they need to hear it a few times – kind of like some students I know! But they all love to learn, love to run, and love to be on the trail! Just like Dallas himself. This year, two mushers will be carrying special packages on their sleds to make a special delivery in Nome. DID – Did you know that children need 80% of their childhood vaccines by age 2? IT – It can seem a little complicated keeping up with recommended immunizations, but the payoff is big! Lisa tells me that she chose Martin Buser to help with the project because he has worked with the I DID It By Two group before and is a great spokesman for the campaign. He will be carrying the DTAP. This vaccine is given to children between the ages of two months and six years. The DTAP is a vaccine given to children to prevent diphtheria, tetanus, and pertussis (whooping cough). The organizers think that with Martin’s playful personality, he may actually pass the vaccines off to other mushers to carry down the trail! That would be in keeping with the spirit of the original serum run which was actually a relay. Aliy Zirkle was asked to participate because Lisa wanted a front line contender, and with second place finishes in the last two races, Aliy certainly meets that criteria. Knowing how competitive she is, Aliy will most likely put the vaccine in her sled and run her race! She will be carrying Tdap vaccine which is used for adolescents and adults. Tdap stands for tetanus, diphtheria, and pertussis and is used for people aged seven and older. For a writing piece, students could write and record radio spots, like public service announcements for the I DID IT BY TWO Campaign. I will have more information soon about other mushers who are “mushing for a cause” or using their Iditarod runs to bring awareness about causes near and dear to their hearts! When daylight broke at Yentna Station the planes began arriving to move out all the personnel who had been located at the station. We were on the second plane to take off, and we managed to make it back to Martin Buser’s Happy Trails Kennel in time to see Andrew Nolan come in fifth place in the 2014 Junior Iditarod. Less then twenty minutes later Jannelle Trowbridge from Nome came in. Ashley Guernsey arrived about thirty minutes later. And Joshua Klejka about thirty minutes after that. What an amazing thing to see the look of confidence and pride on the faces of the juniors as they crossed the finish line! They faced the challenge and rose to the occasion! All of their planning and training paid off… the rookies are rookies no more and the veterans have another Junior Iditarod under their belt. For three of the veterans, Ben Harper, Joshua Klejka, and Conway Seavey, this was their last Junior Iditarod. We’ll have to see if their futures hold Iditarods in their futures. Special congratulations to the mushers who beat me to the finish today! Conway Seavey and Ben Harper leap-frogged each other to the finish line, but Conway managed to squeeze past Ben to get the win by about two minutes! Kevin Harper, rookie of the year, finished in third position. Jimmy Lanier finished in fourth position. Our good friend Nicole Forto claimed the red lantern for this race! She was greeted at the finish line by the 1978 Red Lantern Winner, Barbara Redington. I can say with all honesty, that these kids are amazing! They were professional,confident, and poised. They took excellent care of themselves and even better care of their dogs. We are off to celebrate them with a banquet to close out this year’s Junior Iditiarod.